Located just one mile from Sun Valley, Ketchum, Idaho is nestled on the banks of the Big Wood River at the base of Bald Mountain in the middle of the Idaho Rocky Mountains. The mountain peaks encompassing Ketchum have heights extending over 9,000 feet. No wonder the area is considered by many to be the American Alps! Starting as a mining town during the mining boom in the 1880s, Ketchum's current economy is based on tourism. From mining, to sheep raising in the 1890's to a world-renowned ski resort in 1936, Ketchum has gone through many changes. When the Union Pacific Railroad came to town in 1935, passengers came in droves to ski at Sun Valley. At one time, gambling even flourished in the town. The Sawtooth Recreation Area was established in 1973, and Ketchum took on a new role – that of gateway to the Sawtooth Mountains. Ketchum is in the Wood River Valley, adjacent to Sun Valley; the two communities share many resources and both sit in the same valley beneath Bald Mountain, with its world-famous skiing. Ketchum can be found approximately 80 miles north of Twin Falls, ID and about 72 miles north of the junction of I 84 and Highway 75. 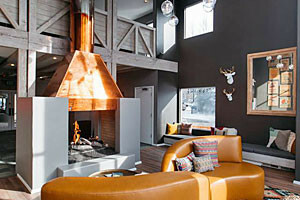 Ketchum is filled with great lodging, fine restaurants, wonderful shopping, and friendly people. Obviously people gravitate to the Wood River Valley in the winter to enjoy the world class ski mountains owned and maintained by the Sun Valley Resort. 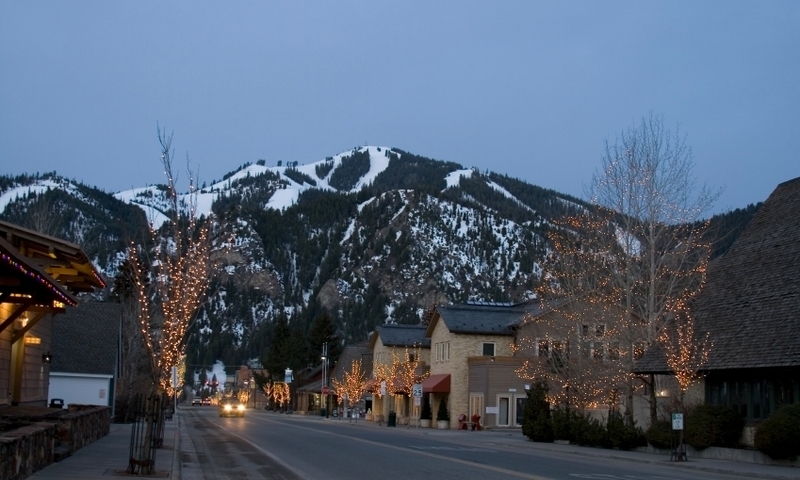 Ketchum is nestled at the base of world famous Bald Mountain. There are numerous trails of all kinds, from easy to difficult in the canyons and valleys that surround Ketchum. Guides in the area can supply fully supported day and multi-day wilderness adventure trips in Idaho. Don’t forget to bring your mountain bike when visiting Ketchum. You can enjoy the paved pathway that runs the entire length of the Valley from Hailey to Sun Valley, or you can enjoy the scenic, more technical rides in the surrounding mountains. There is a local artist community, which contributes to the inventory of the many local art galleries. Sawtooth Botanical Gardens. Laid out on a five-acre parcel of ground just five miles south of Ketchum, Idaho is the Sawtooth Botanical Garden. The Sawtooth Botanical Garden is designed to "celebrate plants and inspire people." The original 1880's ore wagons used in the Wood River Valley are stored in the Ore Wagon Museum located in Ketchum, Idaho. The bronze bust of Hemingway and accompanying plaque was dedicated on July 21, 1966, which would have been the famous author's 67th birthday. The Hemingway Memorial is located one mile east of the Sun Valley Lodge on Trail Creek Rd. The Museum is located near downtown Ketchum and includes historical items and memorabilia related to the heritage of the Wood River Valley. It will take you only 3 minutes to travel between Ketchum and Sun Valley. In fact, the quicker way to commute between the two communities may be to take advantage of the paved pathway. Either take your car or bike, or walk between the two destinations. Official site for the City of Ketchum, Idaho.